Tom Arup. Environment editor, The Age. March 13, 2014. One of Victoria’s most precious and fragile patches of the environment, home for two of the state’s endangered animal emblems, will be protected in a new conservation network. As part of efforts to restore flagging forest habitat, the state government has agreed to set up a new 2940-hectare ”conservation area”. This will draw under one umbrella several fragmented areas of vegetation in and around the Yellingbo region, near Healesville. At its heart will be the existing Yellingbo Nature Conservation Reserve, a small region of swamp forest that has been in rapid decline as a result of landscape fragmentation, altered water courses and feral species. Yellingbo is home to the last wild population of the critically endangered helmeted honeyeaters, a species endemic to Victoria and one of the state’s emblems. Another of those emblems, Leadbeater’s possum, also calls Yellingbo home. 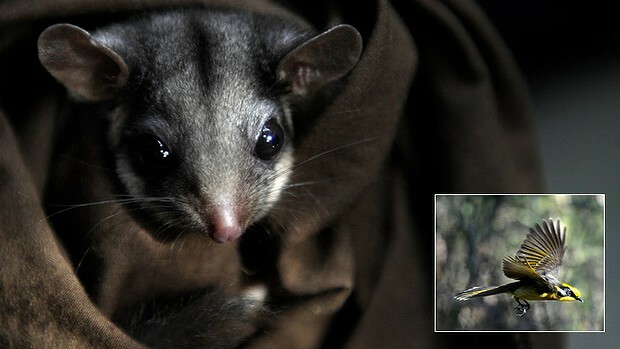 The reserve holds the last lowland Leadbeater’s, genetically distinct to their cousins in Victoria’s central highlands. The state government largely agreed to 19 recommendations from an investigation by the Victorian Environment Assessment Council into how to best manage, preserve and restore Yellingbo’s remaining forest and vegetation. Across the Yellingbo area that the council investigated only about half the original vegetation remains in fragmented clumps. It is hoped that creating the conservation area, and better management, will reverse the vegetation decline, better protecting the two species. The move will require some amendments to the national parks laws. A committee made up of bodies, such as Parks Victoria, Melbourne Water and Zoos Victoria, will oversee land management and conservation. A spokeswoman for Environment Minister Ryan Smith said a co-ordinating committee would be established immediately, with legislative amendments to follow. The president of the Friends of the Helmeted Honeyeaters, Bob Anderson, was delighted by the decision, saying it meant more land would be better managed. No Replies to "Fragile corners of the state to be saved for wildlife emblems"